Donovan Keith is an animator, educator, and programmer living in the city of Los Angeles. He currently works fulltime as a Creative Technologist at BUCK where he is working on a number of AR/VR experiences for the biggest names in tech. Keith has contributed chapters to two books on Cinema 4D as well as an article in Leo Laporte’s Technology Almanac. Keith has been profiled in WIRED and Animation magazines. At age 15, he made a series of appearances on Tech TV’s “The Screensavers” demonstrating basic principles of animation. He created a collection of custom-coded constraints and productivity plugins to aid in character animation in Cinema 4D. 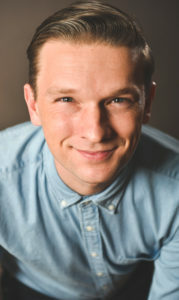 He has demonstrated Cinema 4D at computer graphics tradeshows across the country and has worked as an on-site trainer for a number of top broadcast networks. Keith also teaches the next generation of motion graphics professionals at California Institute of the Arts.